Two weeks ago the last known American jaguar died. Not in the wild. Not by mistake. He was euthanized on a stainless-steel table in Phoenix. When the state-sanctioned vet said it was better for Macho B to die this way than in the wilderness, where he had lived for 15 years, I was taken aback. When the vet said Macho B could have lived another two months, I wondered: Why the rush to euthanize him? When the vet said Macho B's death was "necessary" due to long-term kidney failure, I called for an independent investigation. The story just didn't add up. The first of the independent investigations is complete, but state and federal wildlife agencies won't release it. The Arizona Daily Star, however, talked to the investigators and confirmed my worst fears. Tissue samples show no sign of kidney failure. Indeed, University of Arizona pathologist Sharon Dial stated that, "For a supposed 15-year-old cat, he had damned good-looking kidneys." The euthanization was rushed and unnecessary. Macho B was likely suffering from severe dehydration, probably brought on by his snaring, anesthetizing, and collaring. Rather than being killed, said Dial, Macho B should have been given intravenous fluids for 24 to 48 hours. There was just not enough information to support euthanizing him so quickly. Macho B was injured, possibly fatally, during capture. Though the wildlife agencies publicly denied Macho B's death was caused by "capture myopathy" (i.e. stress and injury), internal memos stated: "Department personnel suspected capture myopathy/renal failure." Only after the Star's investigation was it revealed that Macho B's paw was severely swollen, and deep scratch marks were found seven feet up the tree where he was snared. The necropsy was botched. Investigations into the cause of death have been hampered by a decision to do a "cosmetic" rather than a full necropsy so that Macho B's pelt could be stuffed for "educational" presentations. Why and who deemed this more important than a full investigation? 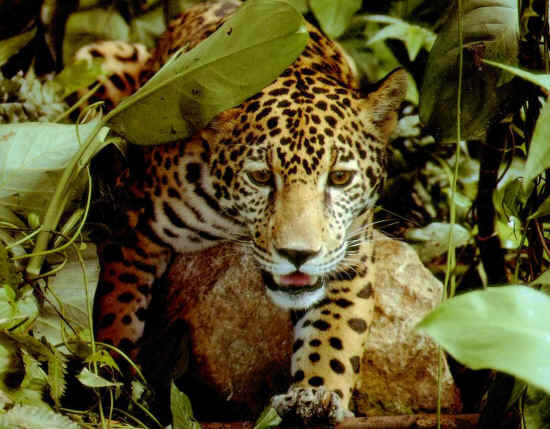 The only good news to report is that the Center for Biological Diversity's lawsuit to establish a federal recovery plan and protected critical habitat for the jaguar is going well. In a hearing last Monday, the federal judge peppered the government's lawyer with skeptical questions, showing his discomfort with how the agency has continually changed its rationale for not protecting America's jaguars. Establishment of a federal recovery plan would likely have prevented the death of Macho B, and it certainly would have prevented what one pathologist called a "lack of total transparency" in how the post-capture handling has been conducted. I'll let you know as soon as new developments arise. Meanwhile, if you haven't already done so, please donate to the Center's Jaguar Legal Defense Fund today. We're over halfway to our goal of raising $40,000. Winning this case - just as we won two crucial cases forcing recovery of the endangered Mexican wolf - is critical to the restoration of jaguars to the United States.